As hard as they might try to plan and prepare, most organizations occasionally experience situations that could be described as chaotic. This includes the finance department, where the busyness of the end of the quarter or the year can present unique challenges to financial staff and leadership. Finance leaders need to be sensitive to the impact that a chaotic environment can have not only on the finance department, but on the entire organization. Even if the chaos is temporary, it still needs to be managed and controlled to the greatest extent possible. Otherwise, a wide range of negative impacts may occur that can cause long-term damage to the organization. § The staff can become demoralized, which can lead to lower morale and productivity. § An inability to access critical data when it’s needed can hinder the overall performance of the finance department. § Continual and ongoing time constraints could make it difficult, if not impossible, for the finance department to initiate positive organizational change. § The financial statements are outdated, which results in delayed closing of the books. § This lack of accurate and timely data leads to other problems, such as slow accounts receivable collections, poor inventory management, etc. § Management reporting is late due to limited use and the passage of time. § Leaders fail to set priorities for the department so business issues aren’t addressed, or if they are, they’re addressed in a haphazard and chaotic manner. § Understand the necessity to dig into the details on order to provide the staff with necessary support. § Set priorities while also understanding the issues that are facing the organization, such as why accounts receivable haven’t been collected in a timely manner. § Perform analysis to determine what are the biggest contributors to the chaos and the best ways to minimize them. § Serve as a filter to the rest of the management team so they understand the issues and priorities being addressed by the finance department. § Introduce processes and procedures that help eliminate confusion and conflicts within the finance department. § Improved staff morale as the team receives clearer direction from leadership and better understands department priorities, thus putting everyone on the same page. § Less time spent reacting to problems and more time spent developing solutions. § The implementation of automated solutions that mitigate, if not eliminate, the issues that are leading to the chaos. Most finance departments occasionally experience situations that could be described as chaotic. Finance leaders need to be sensitive to the impact that a chaotic environment can have on the entire organization. Even if the chaos is temporary, it still needs to be managed and controlled to the greatest extent possible. 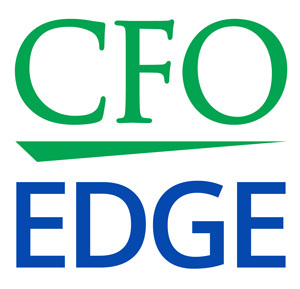 An outsourced CFO services provider can help you manage chaos in your finance department and minimize the negative effects that chaos can lead to.